Supermajorities in both chambers will help overcome the opposition that defeated similar legislation in 2017. Statewide rent control in Oregon—a concept that terrifies landlords and some economists—appears set to sail through the Legislature. 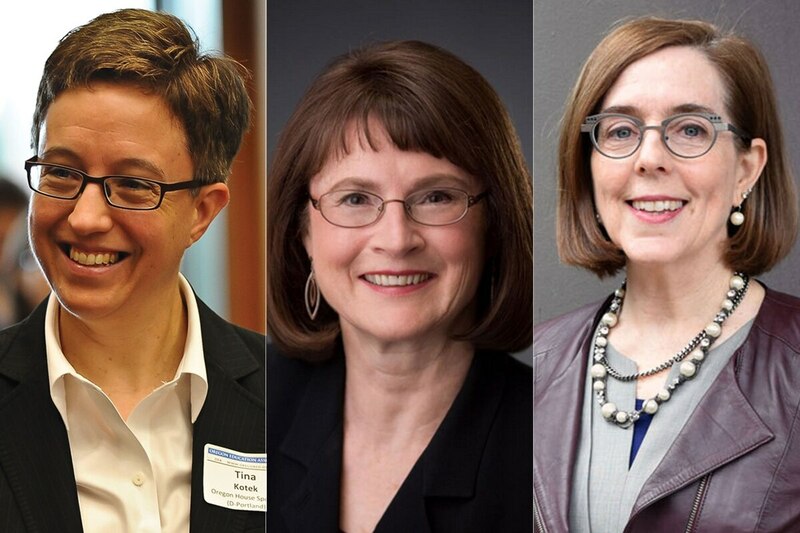 Senate Bill 608, which would limit rent increases and bar no-cause evictions after a tenant's first year in a building, has powerful sponsorship from House Speaker Tina Kotek (D-Portland) and Senate Majority Leader Ginny Burdick (D-Portland). On Jan. 14, the bill received the endorsement of Gov. Kate Brown. "We also need to help Oregonians who have homes but are struggling with the high cost of rent," Brown said in her inaugural address. "We can help landlords and tenants navigate this tight housing market. Speaker Kotek and Sen. Burdick have innovative proposals that will give renters some peace of mind." With supermajorities in both chambers, Democrats are confident the legislation—which would make Oregon the first state to enact statewide rent control—will move forward. "We are long past the point when we should have passed meaningful tenant protections," Kotek tells WW. "Clearly more needs to be done statewide to give renters more security and stability." What are the most significant aspects of the bill? It will limit annual rent increases to 7 percent plus inflation in buildings more than 15 years old. And it will prohibit no-cause evictions for tenants who have lived in their building for at least a year. Why are rent control and no-cause evictions packaged together in the same bill? The two policies, limiting rent increases and ending no-cause evictions, do not work in isolation, because landlords could use whatever tool remains legal to push out tenants. 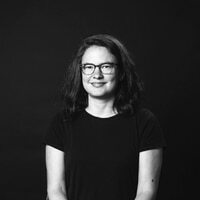 "Just cause [evictions] and rent control need to go hand and hand for either to be effective," says Nicole B. Montojo, a housing research analyst at the University of California, Berkeley. A landlord subject to rent control but not to restrictions on evictions could kick a tenant out for no reason and raise the rent, Montojo explains. "If you had a just cause [bill] but no rent control, the landlord could just raise the rent and force someone out." Are lawmakers forcing the whole state to accept a fix for what's only a problem in Portland? No. Salem, Eugene and Bend have all seen rents increase rapidly, with median rents up by a quarter in four years, according to data from the real estate website Zillow. "If you ask anyone in Southern Oregon, no one would tell you any differently: The housing crisis is real in Southern Oregon and has been growing in the last five years," says Michelle Glass, director of the Rogue Action Center, a community organization in Medford. "This has actually been one of the most difficult things about the housing crisis, the fact that for many state policy makers, it is invisible outside of the Portland metro area." Why aren't landlords fighting tenant protections they've strongly opposed in the past? The landlord groups can count votes—and the votes are against them. They are holding fire, and that's a sign of how much has changed since two years ago, when similar protections in House Bill 2004 passed the House but not the Senate. Senate Democrats have since picked up a seat, and replaced the largest landlord serving in the Senate, Rod Monroe (D-Portland), with a tenant-friendly rookie, Sen. Shemia Fagan (D-Portland). "After Sen. Monroe lost by 40 points and D's have supermajorities, it looked like an entirely different landscape," says Deborah Imse, executive director of the large-landlord association Multifamily NW. "It's gotten much more complicated than just saying no." The Oregon Rental Housing Association, which helped kill HB 2004, is neutral. The group's legislative director, Jim Straub, acknowledges that's a big change from 2017. "We were very vocally opposed to House Bill 2004 that was proposed two years ago and were instrumental in not having it passed." If landlords aren't freaking out, does that mean the rent cap is too generous to them? It's true: Average rents in Oregon have increased a lot more slowly over the past eight years than the maximum rent increase allowed under Senate Bill 608. Margot Black, a Portland tenant organizer who wants a lower cap, compiled data showing that average rents have historically increased by a lot less than 7 percent plus inflation. But averages don't reflect actual rent increases at every building. The consulting firm ECONorthwest found in 2015 and 2016 that more than a quarter of Portland-area buildings increased rent on their one-bedroom apartments by more than 10 percent. That means that while the new law may fall short of advocates' dreams, it could still help a lot of tenants. Could rent control actually hurt tenants by reducing housing supply? Not exactly. Economists say hard rent caps in other cities have discouraged renters from moving and landlords from fixing up properties, and encouraged demolitions and condo conversions. But Mike Wilkerson of ECONorthwest says the generous limit on rent increases and the exemption for buildings less than 15 years old under SB 608 will likely keep developers and landlords in the game. "It won't have a significant impact" on new development, Wilkerson says. Continuing to encourage new construction is crucial, he adds. "The focus should be on supply." Does the bill eliminate all evictions? No. Tenants still have to pay their rent. Also, the bill allows landlords to push tenants to leave if the landlord intends to make substantial renovations to a building. "That behavior is not remotely stymied by this law," says Black. Democrats have very ambitious agendas this session. Where does housing fit? They want to deal with housing right away and start in the Senate' the more conservative chamber, unlike two years ago. "I plan to have a hearing early," says Fagan, who chairs the new Senate Housing Committee. The idea is to avert the bill from becoming a "negotiating piece" later in the session. What could go wrong for the bill? Tenants could decide it's not enough, and landlords could decide it's too much. For landlords, the fear is that once rent controls are law, Democrats could ratchet them down: 7 percent becomes 5 or even 2 percent. John DiLorenzo, a lobbyist who represents landlords, says his clients fear a "slippery slope." "[They] worry that once you establish rent caps," DiLorenzo says, "there's no turning back." Tenant advocates are already hoping for additional changes. "Passing SB 608 quickly will bring all of Oregon one step closer to what tenants need," says Katrina Holland, executive director of the Community Alliance of Tenants. "CAT is ready to continue fighting for even stronger provisions this session and beyond."